My kids always get excited about dressing up, especially when it involves cute animals. 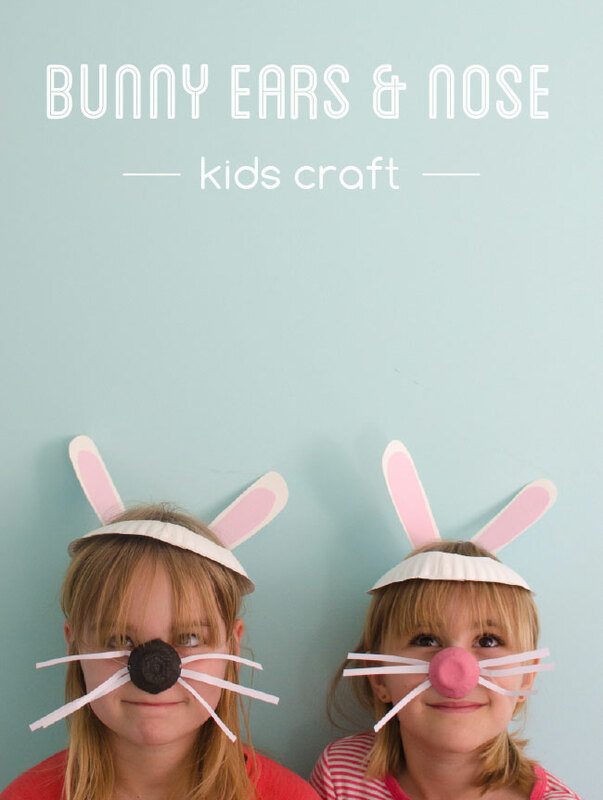 With Easter coming up we thought it would be fun to make a simple Bunny craft using items from around the house. Gather your supplies and follow the cutting guide from photo 1 above: Cut egg carton to make a small nose. Fold paper plate in half and cut section out for ears. Cut smaller ear-shapes from pink paper. Fold ears flaps on paper plate up. Glue pink paper onto paper plate ears. Tape paper plate together to fit the size of your child’s head. Paint the egg carton noses the color of your choice. Use sharp point (I used the point of my scissors) to cut small holes on the sides of the noses. Thread the elastic through the holes and tie the ends so that they don’t come out. Tape white paper strips on the inside of the nose and fold outward for whiskers (see photo 4 above). This craft is easy enough for most kids to do on their own with a little help from a grown-up (i.e. tying the elastic).